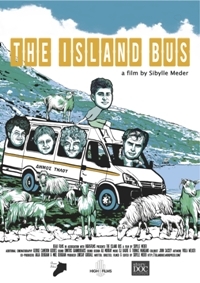 To start 2015 off in the right way, we are happy to announce the first screening of the year and the first ever screening of THE ISLAND BUS on Crete at the Social Space (KOINONIKOS CHOROS) in Irakleion, Crete, on Friday 16 January 2015, 20:00. In cooperation with the Cinema Group of the University of Crete, the New Heraklion Cine Club is presenting two documentaries with a common topic but two different views on the life of refugees and locals in Greece. Followed by a discussion with the two filmmakers. Entrance is free – the audience is invited to bring food to support the needs of the Social Kitchen that is operating at the venue.